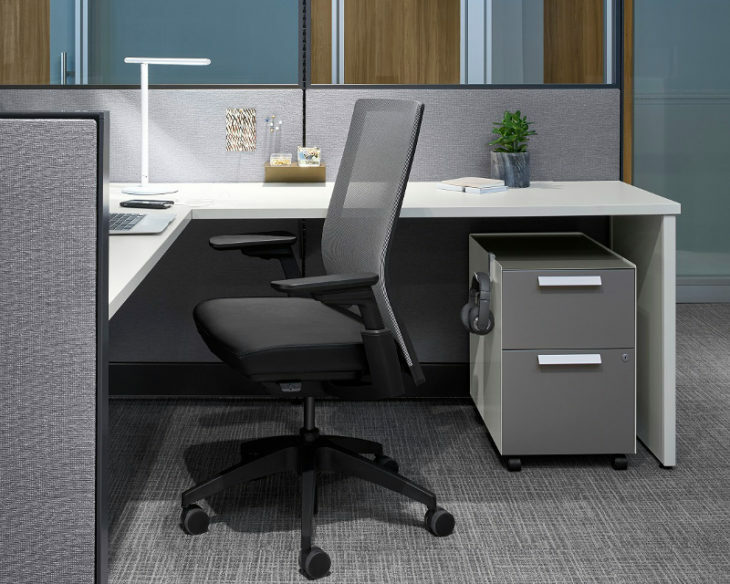 Radii, a new storage collection from Allsteel Inc. and IDA Design, addresses the need to stow, rather than store, with a compact, space-efficient design that allows workers’ personal storage to travel with them in today’s agile work environments. This versatile system of metal storage pedestals, undermounts and work tools can be used with any desk to increase organization without sacrificing workspace. Its customizable design is key as the workplace shifts toward multi-functional units where the need to store paper dwindles and workers look to keep personal items in close proximity. Pedestals and undermount storage optimize efficiency with a slim design that doesn’t compromise the compressed work area. Pedestal options for Radii include alcove, standard and slim. Deep drawers accommodate larger items like a backpack, and removable trays organize smaller supplies. The alcove pedestal provides a convenient nook to contain clutter and clean up visual chaos. Undermounted units move with the user as the worksurface raises and lowers, increasing accessibility for everyday essentials. Complete with a soft touch mat, the undermount units offer USB charging and a landing pad for personal devices. A single sheet of steel wraps the storage unit to provide a clean, soft 360° aesthetic while extending the top edge to conveniently hang, rearrange and clip the Radii work tools. 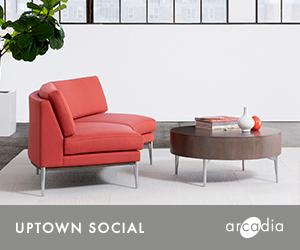 These edges and cutouts turn previously unavailable space into usable ledges. 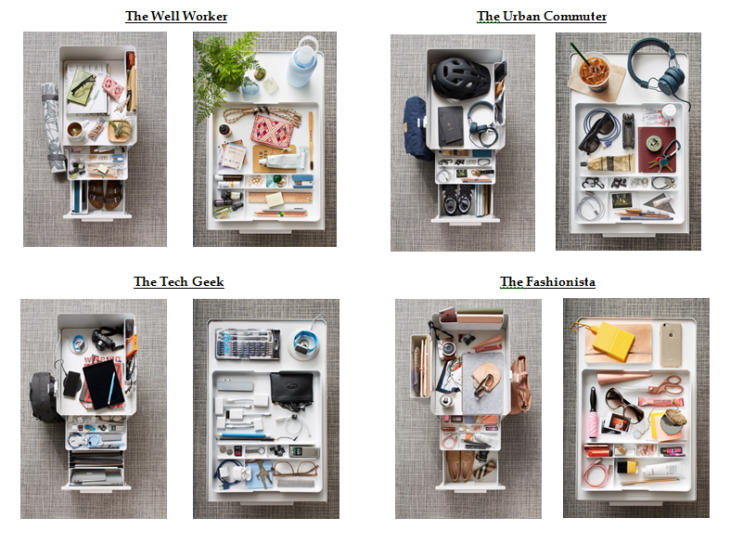 The five simple work tools allow workers to customize where and how personal items and desk accessories are stored. The trays with dividers act as catchalls to keep a mix of everyday items nearby for easy access or discreetly placed inside the unit for privacy. The hot file and side saddle easily attach to the outside of the unit to store supplies and tablets, and can also fit inside drawers if desired. The hook keeps items such as a bag or coat off the floor and stowed neatly. These features allow the Radii storage system to be easily reconfigured as the needs of the workplace develop, all while bringing a contemporary look and sense of order to the open office. “Nothing in this line does just one thing. The work tools can go in different places depending on where you are in your workflow, in your work process. 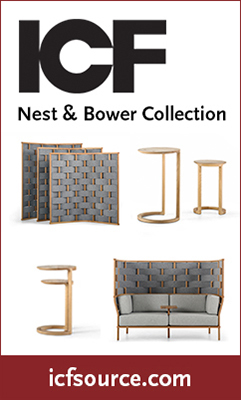 They are designed to be truly customizable for the user.” – IDA Design. 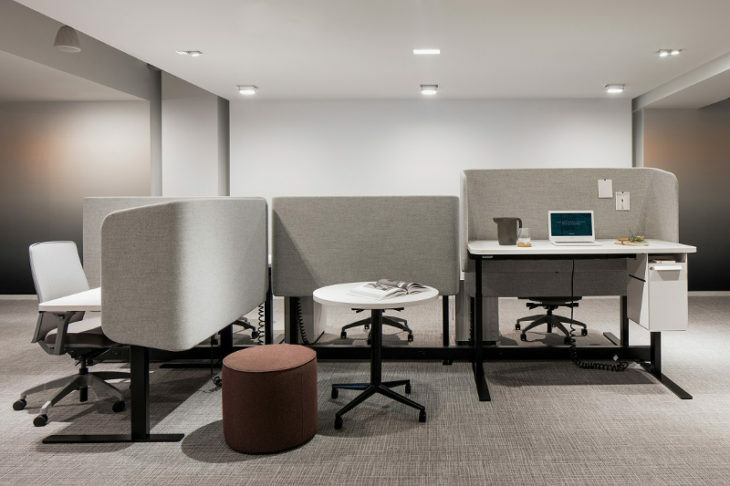 Through intuitive options and seamless integration of work and personal space, Radii enhances the user experience to complement the modern work environment. Since 1912, Allsteel Inc. has offered a world-class, comprehensive range of workplace products and solutions. We simplify the office planning process by helping our customers align their workplace strategy with their business strategy. The result is fit-to-business solutions that deliver meaningful change in a way that works for them today, as well as tomorrow. Headquartered in Muscatine, IA, the company has Resource Centers in Atlanta, Boston, Chicago, Dallas, Los Angeles, New York, San Francisco and Washington, D.C. For additional information, visit www.allsteeloffice.com or follow Allsteel on Facebook, Twitter, LinkedIn, Instagram, Pinterest and YouTube.